Brad Steiger is one of the hard working giants in this field. I was delighted and honored to spend an hour in conversation listening to his deep, hypnotic voice. He shares many of his owl personal experiences, and he comes across as less an author and more of a mystic. There is another excellent interview with Brad from 2011. These two interviews will play well side-by-side, creating (in a sort) a full two-hour interview. The order doesn't matter, and none of the information overlaps. Each of these audio interviews are just a little over one-hour long. 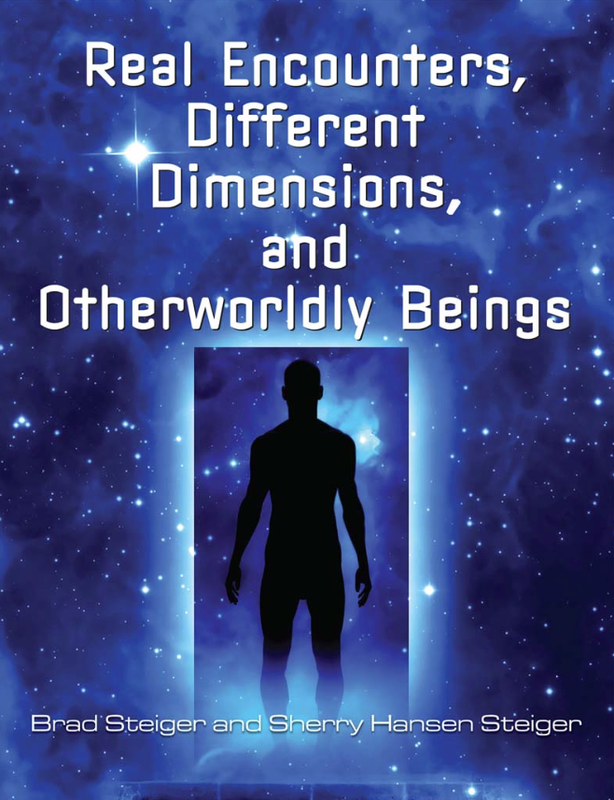 Brad and his wife, Sherry Hansen Steiger, just published a new book titled Real Encounters, Different Dimensions and Otherworldly Beings, this is a perfect companion to their 2011 book Real Aliens, Space Beings and Creatures form Other Worlds. Taken from first-person accounts and historical documents, this 2013 book chronicles a huge number of examples of alien encounters, ghost enconters, near death experiences and these mystical events influence human events. When you visit Brad and Sherry's web-site (HERE), be prepared because there's a lot of info crammed into that site. Together, they have done a lot of books and research over the decades. Steiger presents very well, but his body of work, taken as a whole, is problematic in that it seems to be appealing to the same tabloid market that makes a mockery of the topic at hand. Things spooky, things bizarre and things adorable. When Roger Leir began a recent symposium presentation with a pitch for an upcoming trip to Egypt, I felt the same discomfort and understanding that I do when someone like Steiger, whose contribution to ufology isn't wholly without merit, pitches haunted houses and horses-that-heal in other forums. This was a really good interview actually, but I wished Mr. Steiger would've spoken more on other subjects other than just U.F.O's. At least he could've explained in some depth how seemingly different subjects (i.e experiences, paranormal, and etc..) relate and intertwine themselves w/ the U.F.O topic. I myself am not a really big Alien fan. I'm more into folklore, myths, paranormal and etc...but if both subjects show remarkable similarities, then it wished someone w/ his expertise would've gave a clearer picture. Listening to stuff like this just leaves you hunting for more answers, but you never really find any. Where Do Electrons Get Energy to Spin Around an Atom's Nucleus? Ah, very true, Red Pill Junkie, the particulars of gravity, such as the relative weakness of the gravitational force compared to the other three fundamental forces, is the topic of much research at the moment, and, as you know, is addressed quite famously by String Theory. Still, the fact that these aspects of gravity are still under investigation does not mean that we do not understand, as Steiger indicated, where gravity comes from. Einstein answer that. Indeed, the problem of physics today is not to explain where gravity comes from, but explain where it goes,i.e., into what additional dimension of space does it leak, thereby appearing weak in the three-dimensional space that we perceive. Nevertheless, I happily concede that Steiger merely misspoke, if ever so subtly and insignificantly. Hi, this might be a little bit off topic but, RPJ, you were AWESOME on Radio Mysterioso with Greg Bishop! I can't believe no one is giving you kudos. I've been following your stuff/ presence in the 'realm' for a few years and it's high time you came out of the shadows to give us the shtick on the infamous RPJ. Thank you! Nice interview Mike, as always. I noticed several curious comments about the authenticity of Brad. I will say I had an old friend, Rev. 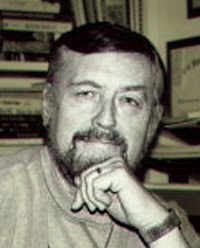 Milton Nothdruft, who was one of the early folks in the UFO phenomena back in the Midwest. The discussion groups that formed then included some of the original cast of the UFO phenomena, like Brad. However, Brad still presented some concerns over the years as he does speak very well yet maintains a sort of aloof nature about it all. The Star People Series, authored with his then wife Francie, was an awesome set of books that led many to their own understanding and offered validation to even more who were questioning their sanity 30 years ago. Wow... 30 years ago. At any rate, I was producing a television show in the early 90s and a girlfriend and I had been talking about having Brad on the show. I knew he lived in the Phoenix area, but hadn't a clue how to reach him. We decided to try an experiment based on the ability of 'starseeds' to create or manifest events. We agreed that Brad would cross our path somehow in the next two weeks and did a little ceremony about it, including a short prayer of invitation for it to happen. About 10 days later we were in the Coffee Plantation in downtown Tempe, looking around the bulk coffee section. Guess who walks into the area. Yep... Brad. Now you know me, Mike. I'm a professional in how I communicate with others and I was that way even back then. I walked over to Brad, introduced myself and told him a bit about the show to prep him for an invitation to be on it. Before asking I went on to explain what Tina and I had done and how I felt it had everything to do with him standing in front of us at that very moment. I shared that I felt it was a demonstration of what he and Francie had shared in the Star People Series. Well, I got a really rude awakening. He couldn't get away fast enough. The look on his face and his demeanor changed to the point of almost acting like he was afraid. I thought sharing our little experiment would have made him excited and even thrilled that he had someone validating what they had written... especially when it involved him as a result. I guess our hopes were a bit too high and the old pedestal proverb played out. I was sorely disappointed. However, it did not negate the fact that the experiment worked!